3+1 bedroom, 2 bath elevated bungalow in great Bayridge location, set on a quiet cul-de-sac on oversized 60ft x 132ft lot. Tile entry with new railings opens to large living room with newer hardwood floors, gas fireplace and bright picture window. Dining room with nice built-ins cabinets. Oak kitchen with lots of counter space, crown mouldings, stone backsplash, built-in pantry and breakfast table. 3 spacious bedrooms up and updated 4-piece main bath with tile floors. Fully finished lower level offers rec room, spare bedroom, bar area, 3-piece bath and spacious laundry room. Lots of good storage. Beautiful fully fenced rear yard complete with 14ft x 28ft in-ground pool, hot tub, nice deck with pergola, mature trees and 2 storage sheds. All this plus central air, paved parking for 3 cars, 5 appliances included, new rood shingles 2014, updated front and back doors and more! 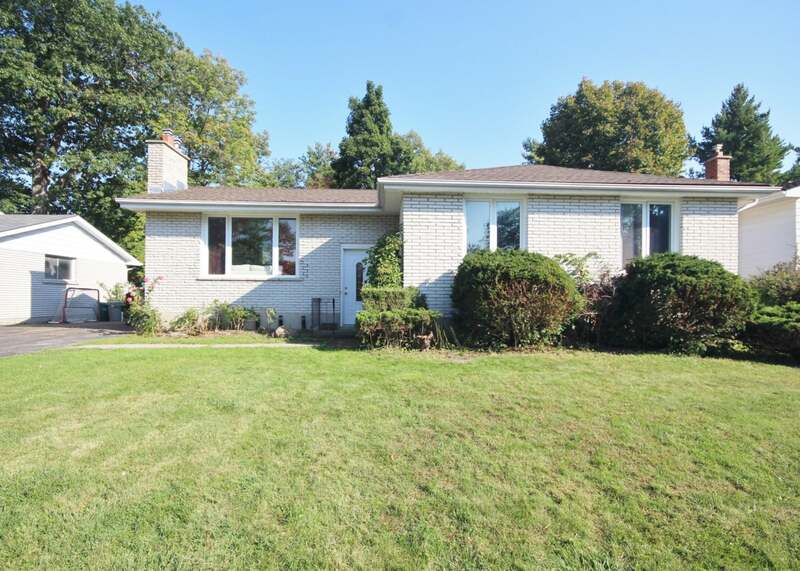 A great home in excellent location close to all west end amenities. Lot Size 60' X 132' Sq. Ft.